With "man-in-the-middle" hacker attacks in the news recently, BlackBerry is now offering BBM Protected to iOS and Android users as a way for them to exchange secure messages. To prevent a vulnerability similar to the "Freak," the encryption keys used by this service are generated by the communicating mobile devices themselves. This is all offered within the BBM Protected package that is essentially an IM service that offers enterprise grade security, yet contains all of the features found with a consumer based IM app. BBM Protected had been available for BlackBerry handsets only until now. 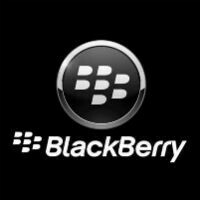 The service will allow BBM Protected customers to have secure chats with non-BlackBerry Protected workers at other companies, or with customers. If you are a BBM Protected subscriber and want to IM someone without the service, all the latter has to do is download and install the free version of BBM for his BlackBerry, iOS, or Android phone. 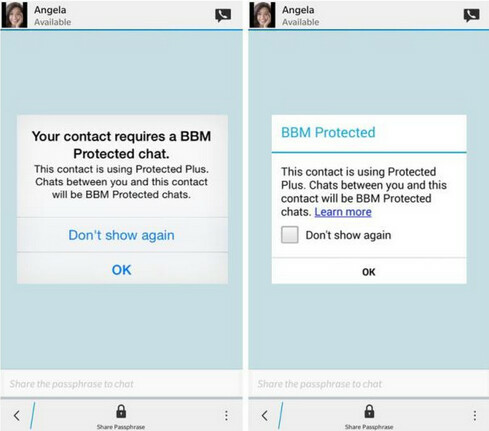 BBM Protected is available for BES users and while it does require a subscription, BlackBerry is offering a 30-day free trial. If you are concerned about third parties getting in the middle of your intra-corporate or inter-corporate chats, or want secure communications with customers, BBM Protected sounds like the answer. No one is more secure than blackberry. P.s. PA you really need to do something about the ads on your site redirecting to the app store. Had the same issue until I downloaded Firefox and added an adblock addon for mobile. It's getting to the point that no conversation will be private. This is a great addition to the "BBM Suite". I'm sure there will be many users of BBM Protected, by both enterprise and governments. I just wish it was available to the consumer market as well. How do you get people to try BBM. I really want to give it a go but I don't know a single person with BBM let alone a BlackBerry. Everyone is on that KIK and Snap Chat stuff. Exactly. Seems kind of pointless if the other party isn't using it. Most of the benefits tie in to both parties having BBM. It's only pointless if you don't care about privacy. Judging from the number of users on other IM services, most people don't. But these are the first people complaining about too much spam or in severe cases, identity theft. That's funny, because I only know 2 people that use SnapChat and one person that uses KiK. I know a whole host of people on BBM, and not all of them are BlackBerry users. I have personally gotten more than a few people I know to give BBM a try, and they love it. True, other IM clients have more users, but BBM is growing. They have 100 million MAU's now, and growing. If you decide to give the app a try, you can do a search of your contacts thru BBM to send out invites. Who knows? It might work. That's because you were working for Blackberry!!! If I did, it would be better than what you are, which is a jobless troll. How's that working out for you? Why would anyone buy a junk? I don't think their patent portfolio really worth it. If they do got a great patent, they already prosper.